Arts on Crafts is a series of objects born from a collaboration of furniture designers and artists. The dialogue between two creative contributors is an important part of the process. 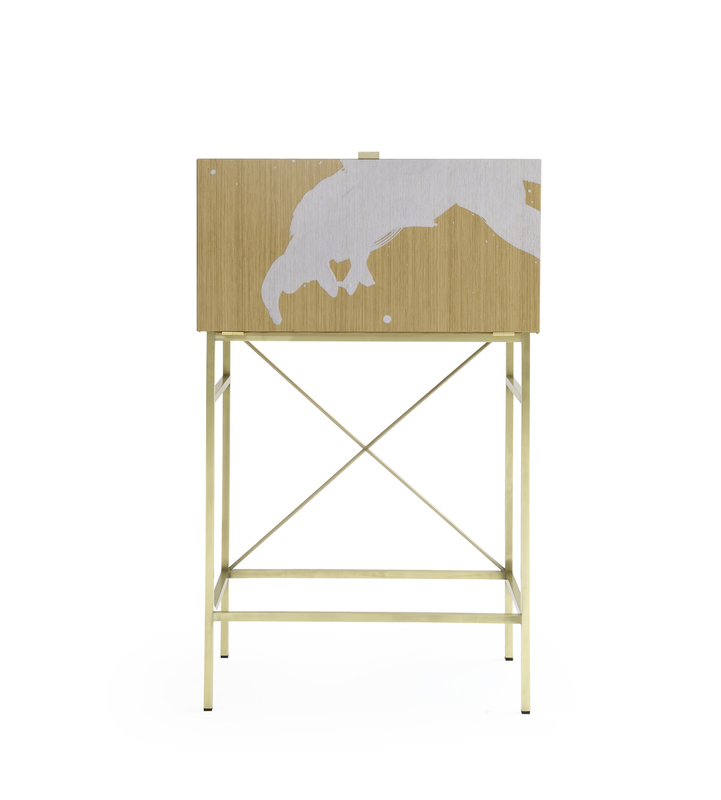 The first piece in the series is a bar cabinet uniting wood crafts and photography. Mads Perch is a London-based Danish photographer. His work combines powerful colours and dynamic energy with Nordic calmness. Georg Œhler designed the furniture for the first edition. Elaborate details combining oak and brass allow the cabinet to open up and reveal a large canvas for the artwork on the inside. Arts On Crafts #1 is launched at "Back Ahead - New Austrian Design Persepctives"